I’m not too sure what genre I write in. All my work has an element of Romance, but the two novels I have written are more concerned with relationships, and the emotional turmoil that involves. It was Nanowrimo (http://www.nanowrimo.org) that got me writing. A friend suggested I give it a go. You write a novel in 30 days (50,000 words) and at the end of that first attempt I ended up with 65,000 words! The Write Romantics see the road to publication, by whatever route, as a journey.Please can you tell us a bit about your journey so far,your self-publishing experiences and what is next for you? And I totally agree! It is a journey, and we should enjoy the ride ;o) I started writing for Nano, and since then I have participated 3 times, achieving over 50,000 words each year. I’m a HUGE fan of writing schools (especially Swanwick) and love to learn all I can about writing. I’ve just finished a course with The Faber Academy (Faber & Faber) and I’ve also attended other Creative Writing classes. Have you got any advice for other aspiring writers? Yes, I have, and it’s a quote from Ray Bradbury “Quantity produces quality. If you only write a few things, you’re doomed.” I think that is so true. I’m a fan of prompts and during 2012 I wrote a piece of fiction from a prompt every single day using Judy Reeves book A Writers Book of Days. Writing is an art form, and like any other form of art, you need to practice. It won’t necessarily make you perfect, practice, but it will definitely improve your writing tenfold if you write every single day. Don’t worry if its crap, just get the words down on paper! What are your dreams and aspirations as a writer, in terms of your short-term and long-term career? What has been the single biggest benefit of joining the NWS, do you think? So far it has been meeting some LOVELY fellow NWS members, online and in real life. I was also invited to my local Chapter’s recent lunch meeting which was brilliant! Lots of lovely lady authors with a wealth of experience. Writing is a very lonely occupation. Try to get out there. Join a local writing group, make contact with fellow writers through Blogs, FaceBook and Twitter. Meet fellow writers for coffee and a chat (I’m always up for that!) and remember, you may be alone in front of your computer screen, but there are other writers out there in exactly the same position. Thanks for taking part in the Monday interviews, Vikki, and good luck with this year’s NWS submission. We look forward to getting together with you for one of those ‘coffee and a chat’ sessions sometime soon! This has been re-posted from the Escapades blog and I thought it might particularly interest our Aussie contingent! Jean Bull is a member of the Romantic Novelists Association’s New Writers Scheme and is the self published author of Gipsy Moth, a novel set in 1930s Devon, and an anthology of short stories entitled Postcards and Suntan Cream. Hi Jean, welcome to the Write Romantics Blog and thanks so much for taking the time to be an interviewee. Hi everyone, thank you very much for letting me be a part of your blog. I live in Oxfordshire, and love exploring the countryside. I belong to a ladies walking group, but with all our talking, I’m sure we scare all the wildlife away! I also enjoy reading novels set in the places I visit at home and abroad. I joined the NWS three years ago after seeing an article in a writing magazine about Katie Fforde who said what a good opportunity it was for unpublished writers. I write mainly historical romance, but have written some modern stories too. I love history and one of my greatest wishes would be to travel back in time to see how things really were. I’ve also adored books from an early age and would always ask for them for Christmas and birthdays, so I think my love of writing grew from that. Please can you tell us a bit about your journey so far, your self-publishing experiences and what is next for you? Like many authors, I found it very difficult, ok, impossible, to find an agent for my novel, Gipsy Moth. My husband read about EL James, and thought I should have a go, but of course, my book is nothing like hers! I didn’t find self-publishing too difficult. Firstly I asked Samantha Groom Magicat45degrees@googlemail.com to create a cover which was fantastic and really made me feel that self-publishing was possible. Then with the help of Catherine Ryan Howard’s book Self-Printed, and some guidelines from RNA member, Freda Lightfoot, I formatted my text for Amazon Kindle. Afterwards, I contacted Lonsdale Print Solutions to print me 100 copies to sell locally. It was wonderful to actually hold my own book in my hands! Gipsy Moth has done quite well and you can buy it here. I am working on another novel set in the First World War, but I’ve also self-published a book of short stories Postcards and Suntan Cream which is available here! My advice is read as much as you can, and write as much as you can. You need the reading to develop your skills and feed your knowledge. And if you don’t write, your writing dreams will never come true! I would really like to be published by a mainstream publisher. I think that is every writer’s dream. The single biggest benefit has undoubtedly been meeting so many friendly writers, not only people striving like me to be published, but also those well known novelists who are always willing to help and give advice. It’s really worth going to the RNA conference, and meeting up with your local group each month for all that help and advice I’ve just mentioned. I’ve found that everyone in the RNA and NWS is so supportive. Thanks for taking the time to chat with us Jean. The Write Romantics would like to wish you continued success with your self-published work, as well as with fulfilling the rest of your writing dreams. 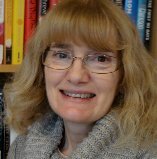 I was lucky enough to get a ten minute editor appointment with the very lovely Anna Baggaley from Harlequin at last year’s Romantic Novelists Association Conference and I have to admit it was a last minute thing and I owe a huge thank you to Jan Jones for sorting it out. 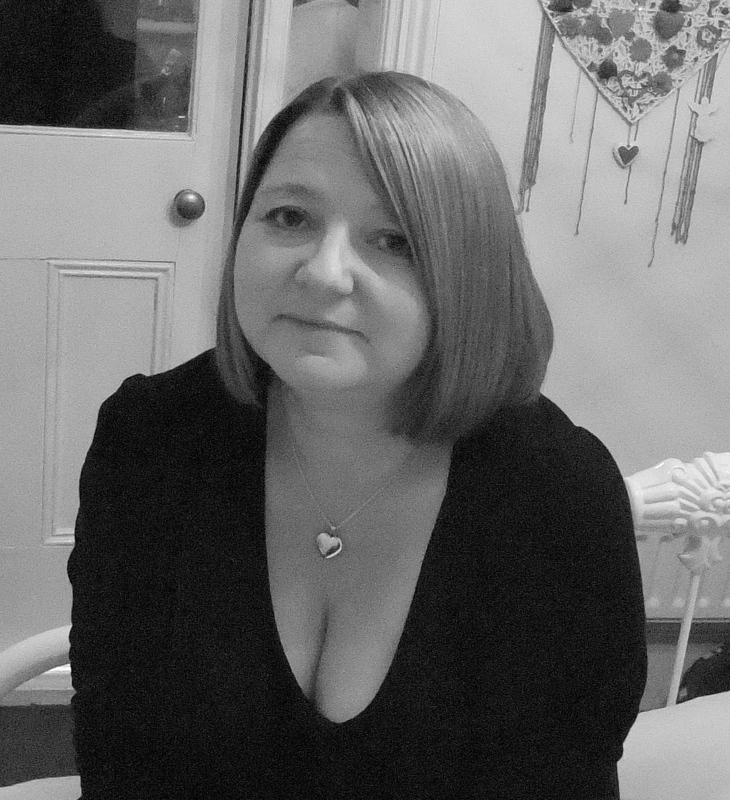 I had been under the impression that no-one would want to speak to me because I write contemporary crime with a romance story running through it. So I emailed Jan just to enquire and she set me up on the best meeting I have ever had. I had to send my synopsis and chapter one off to Jan to pass on to the editor so I did. On the day of the conference I met some wonderful people, there were many names I had heard of that I was finally able to put faces to and should I say the biggest honour was saying hello to the Queen of agents Carole Blake and the wonderful Liz Fenwick as we headed back from lunch. It was a bit like a writer’s day at the Oscars for me and I had great fun reading everyone’s name badges, I was overwhelmed at first when I walked in and very, very nervous but I knew that if I wanted to succeed and become a published writer I would have to get over these nerves very quickly. Throughout the day I overheard people talking about their editor appointments and some of them were so nervous I began to feel nervous for them. I was lucky enough to strike up a conversation with Bernadette O’Dwyer who has become a firm friend and we keep in touch through twitter to keep each other motivated and on the straight and narrow. As the time neared for my editor appointment I felt a lot better, I think I just wanted it to be over with and by this time I had totally convinced myself that Anna would hate my work, ask what a crime writer was doing pretending to be a Romantic Novelist and shoo me away with a look of sympathy. Five minutes before my appointment I snuck from the talk I was in after being wished good luck by Bernadette and I made my way upstairs. There were a fair few of us congregating on the landing outside the room the editors were inside and they were so nervous I felt bad that I wasn’t in the same state as them, we all chatted and wished each other good luck and then the lovely Anna came out and called my name. I followed her into the room and sat down and did not expect what she said next, ‘I read your first chapter on the train down here and loved it, you had me biting my fist and I wanted to read more when I had finished.’ I was a bit awestruck by this point, she then proceeded to tell me there were a couple of things she would change and I told her I already knew what she was going to say and I pointed out exactly the same things she had been thinking. It was wonderful, bizarre in a good way and I sometimes think I was supposed to meet Anna and that it was fate I asked for a last minute appointment. I came out of that ten minute appointment and really believed that I could write because up until that point I only thought that I could and was worried I was being delusional like some of the X – Factor contestants, you all know the ones who tell the panel that they are here because their friends have told them how good they are – really? The only difference for me is that I haven’t let any of my friends read my work except one when it was a very rough first draft and being such a good friend she loved it. I can’t wait to give it to her to read now; it is still the same story but a much better, fluent and tighter version. The last talk of the afternoon was one by all the Harlequin Editors which I had intended to skip but my gut instinct told me not to. I sat at the back and listened to all three lovely editors telling us what they loved and loathed about writers and it was very interesting. At the end they gave out business cards with a big P for priority marked on them and told us if anyone wanted to send in their work they could. I guarded that card with my life tucking it into my purse, I left after that talk as it was the last one of the day and began my ninety minute drive home but I was absolutely buzzing. I then set about making the changes to my first chapter, proofreading my next two chapters and then sent an email to the lovely Anna asking if she would like to take a look. She emailed back and said yes, so nervously I sent off my first three chapters. After a few weeks I got a letter back from Anna to tell me she loved them and could she have the full manuscript? Panic time, I spent the next six days rewriting and checking my manuscript to make sure it was as good as it could be. This time I emailed it off to her and tried my best to forget about it. About six weeks later I got an email from Anna telling me once again that she loved it but would I be willing to make some changes she thinks would make it more commercial, I had to stop myself from telling her that I would have dyed my hair purple and shaved half of it off if she had asked me to. A couple of weeks later I got an email which was very complimentary about the story but it also picked out the weak parts and she had three pages of changes she suggested I should make. I looked at it and didn’t know whether to laugh or cry, I was unsure if I could make the changes that she wanted and if I did manage would it be good enough? It has certainly been a nerve wracking couple of months, so much so I haven’t been able to diet to save my life and have existed on chocolate and rose wine (okay slight exaggeration, I have eaten the occasional Chinese takeaway as well.) Anna told me to take my time and not to rush it, so I did and I think it took me about ten weeks to make the changes and rewrite the whole manuscript again. My poor fingers have typed so much the skin is wearing thin on them (have to say it’s the only thing that is thin at the moment) I sent it off to the lovely Anna five weeks ago and since then have been an even bigger nervous wreck than I was previously. In the end I could take it no more and decided to go against my rules of being cheeky and email her to ask if the changes had been okay, I didn’t want her to think I was being a needy writer but I just wanted putting out of my misery sooner rather than later. She emailed back the very next day to say she once again loved the changes and that it is with the buying department now to see if they like it strongly enough to buy it and did I have a phone number as all our previous correspondence has been by email. There have only been two previous occasions when I have been rendered speechless one was the sudden death of my brother and the second was being told my best friend had terminal cancer so on the grand scale of things this was a big deal for me. So now I’m waiting to hear if the buying department at Harlequin actually want to buy a novel by an unknown writer called Helen Phifer, fingers crossed they will and you will be able to read the book that has taken eight years of my life to get as close to perfection as I think I’ll ever get and the moral of this story is – Don’t Ever Give Up, if you believe in yourself you will get there it’s not a matter of if, it’s a matter of when. I attended a writing day last month and one of the speakers said that anything Edwardian or Victorian is hot news since the success of Downton Abbey. I was thrilled by this information as a while back, I had an idea to write a ‘rags to riches’ historical novel set in The Potteries. It came to me so clearly and fully formed that I wondered if it was maybe a novel by Barbara Taylor Bradford that I’d read and subconsciously pinched. This brilliant novel would be set in the Victorian times, when the Industrial Revolution was under way and small boys were still being stuffed up chimneys…But hang on a minute, when was the Industrial Revolution again? Oh, who cares, I’ll just leave a few gaps if I get stuck. Megan stumbles on the cobblestones… oh wait, would it be cobblestones, or just cinders strewn across the dirt? Never mind, I’ll leave a gap. She lit the gas lamp… Hmm, gas or candle? She dressed in the dim light of dawn, pulling on her worn leather shoes… or would they be wooden clogs? And all of these gaps were on the first page! You getting the feeling that my optimism was slightly misplaced? This novel was shaping up nicely- if I wanted to use it as a string vest. So, pretty much back to the start of the Historical Novel of the Century. Luckily NaNoWriMo was looming (http://www.nanowrimo.org/) and I took the opportunity to write my story with as many gaps as I cared, because that kind of slack work is positively encouraged with NaNoWriMo, it’s all about quantity not quality. And you don’t even have to fess up that you didn’t finish the whole novel at the end of it –you just keep very quiet. So, although I was rather proud that I managed 42 thousand words in a month, my novel, cocooned in a halo of brilliance, was now a bit tarnished- and still full of holes. Sad to say that I won’t be able to jump on the Downton Abbey band-waggon after all, as I have barely looked at the novel (optimistically called, Set In Stone) since, and I still don’t know if you could dunk a rich tea biscuit in your cuppa back then or if you would tell the time by a wristwatch or a sundial! However if anyone hears a whisper that the next “Big Thing” is about Permafrost in the Arctic Tundra, I’m there- I got a ‘B’ in Geography for that, so I know all about it- or if I get stuck, I can always leave a few gaps. Last night I received my reader’s report from my NWS submission. I read it just before I switched the light off to go to sleep…strangely settling in a way! I just wanted to post to say that I’m in awe of the work that our readers put in. My report is so detailed (I’m in Sydney, Australia, and so my information comes in a report and not on the original manuscript). What I was really happy about was that this time the report focused on different aspects to the report I received in 2012. The reader also gave me some valuable tips regarding my synopsis, which I knew was weak as I really struggled to write it. So, whilst my manuscript still needs a lot of work before I can send it out, it looks as though I’m learning many lessons as I go along. Julie grew up in Rumford, Maine, in the USA. She now lives in lives in Berkshire, England, with her husband, a guitar tech for rock bands, and their young son. 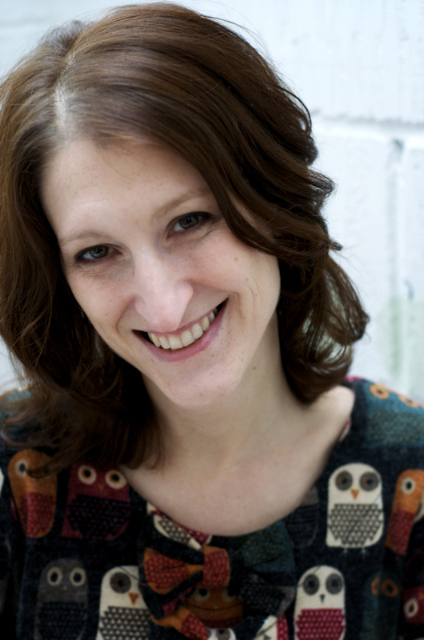 Julie is an author and creative writing tutor, with over half a million books sold from the fifteen titles published in both her own name and pseudonyms. The Write Romantics are delighted that Julie has been able to spare the time to have a chat with us. Julie’s latest book ‘Dear Thing’, published by Bantam Press, is out now. I’d always wanted to be a writer, but I decided I wanted to get serious about being published in about 2001, when I was teaching secondary school English full time. I started writing a romantic novel, because I’d always read them for fun, and I joined some online forums. Someone there recommended the RNA and I joined as soon as I could. I submitted three novels to the NWS in total. The first came back with many, many criticisms, but I was absolutely thrilled with that. I’d never had someone read my entire novel before and offer professional, intelligent advice. Unfortunately my reader advised I should probably scrap the novel and start another (it had already been rejected by publishers)…but as I’d already written half of my second novel, I wasn’t too discouraged. The second novel I submitted to the NWS was actually the fourth novel I ever wrote. It also had some fantastic feedback; I revised Novel 4 according to the advice I’d received, sent it off to publishers, and started writing another (Novel 5), which I submitted to the NWS in 2004. Things started to happen quite quickly for me after that. I entered Novel 4 in the Romance Writers of America’s Golden Heart competition, and submitted it to Harlequin Mills & Boon, who requested the full manuscript. In March 2004 I discovered I was a finalist in the Golden Heart. Novel 5, which I’d sent to the NWS, was sent for a second read, but by then I’d already submitted it to agents and I signed with my agent, Teresa Chris, in June. In July, Harlequin Mills & Boon called me to say they wanted to buy Novel 4. So though I started writing seriously in 2001, by 2004 I had an agent and a publishing contract. I think a lot of that was due to the good advice I’d received through the RNA and the NWS. Please can you tell us a bit about your journey so far and what is next for you? Since 2004 I’ve had fourteen books published under my own name, by three separate mainstream publishers. I wrote six books for Mills & Boon, and then moved to Headline to write romantic comedies for their Little Black Dress imprint. Eventually I moved into bigger books under the Headline Review imprint, and most recently, I’ve started writing emotional women’s fiction novels for Transworld. 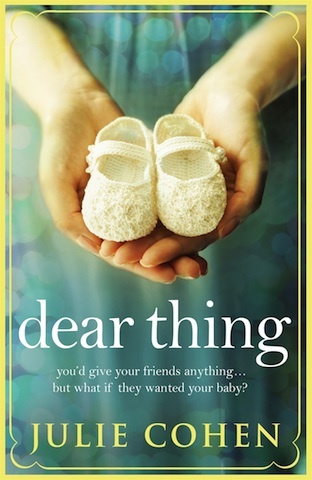 (My latest, DEAR THING, came out in hardback in April 2013.) I’ve also published several books under pseudonyms with large US e-publishers Samhain and Ellora’s Cave. I’m really enjoying the challenges of writing bigger, more complex novels and I hope I’ll be able to continue doing that, and developing my writing, in the future. Have you got any advice for others who might be hoping to emulate your success in securing an agent? It took me several years and a lot of rejections to get an agent, but it turned out that by Book 5, I had more than one offer of representation and I had to make a choice about who was best for my career. I think it was a case of having finally written the right, saleable, book…and never giving up! I remember very well that before I had an agent, I thought that it was all about my finding one who would accept me. But now, after several years with my agent and after speaking to many other authors, agented and unagented, I know how important it is not just to have an agent but to have the *right* agent. You need to sign with someone who you’re confident can look after your career for years to come, and who is as passionate about your books as you are. Although I’ve moved from publisher to publisher and imprint to imprint, my agent has been with me the entire time and she’s my greatest advocate and the source of much support and excellent advice. I want to keep on writing books that I enjoy writing and that appeal to me. I used to think the holy grail was getting published and whilst that’s important, it’s most important to me that I write the best book I possibly can, and that I still love writing. I hope I’ll be writing books that readers enjoy for a very long time to come. The NWS introduced me to taking professional criticism and acting on it. That was the biggest benefit by far. I don’t think the NWS got me published as such, but it did help me hone my skills so that I had a better chance of getting published. Of course there were many other lessons—showing not telling, how to get emotion on the page, how to construct a story and create consistent characters. And I’ve made friends and met colleagues in the RNA that have been very important to me. Keep writing! Even though every writer gets discouraged, if you love writing and keep at it, it is its own reward. Two mothers…and one baby who belongs to both of them, and which only one of them can keep.